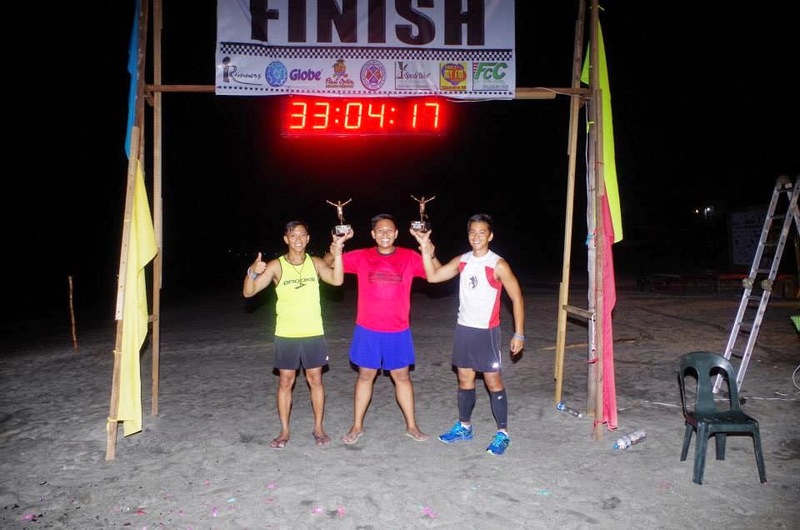 IBTUR 120km Ultramarathon - A Celebration of achievements and warmth hospitality of La Union! 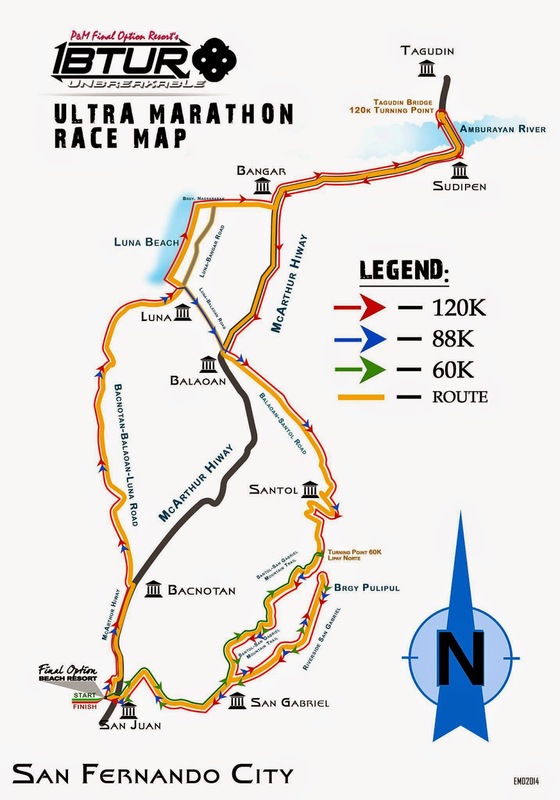 Home /IBTUR 120km Ultramarathon – A Celebration of achievements and warmth hospitality of La Union! 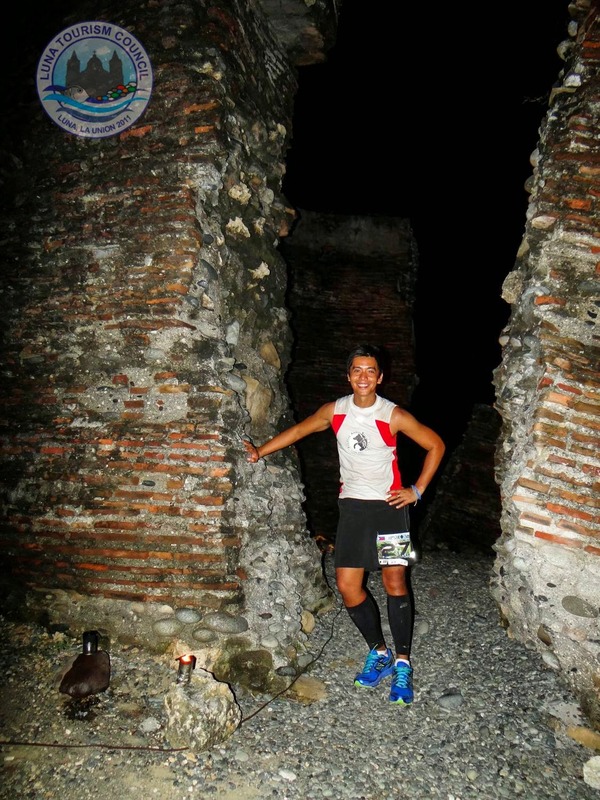 IBTUR 120km Ultramarathon – A Celebration of achievements and warmth hospitality of La Union! 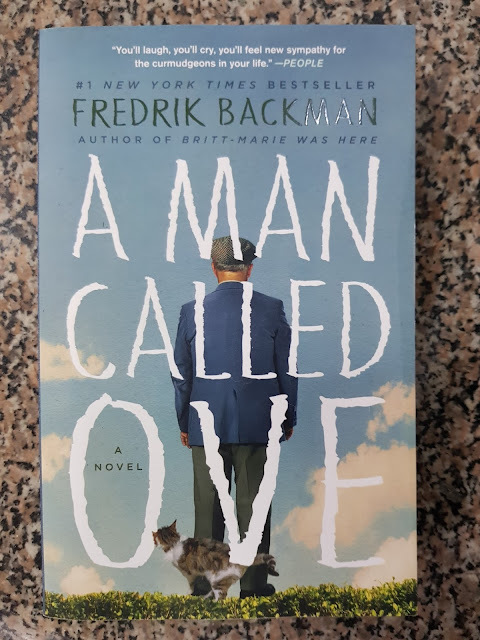 The moment has finally arrived! We are about to prove to ourselves that we can finish and survive the challenge that’s ahead of us, the 120km IBTUR 2 ULTRAMARATHON. Last September 25, 2014, I met up with Ver who was my running buddy in this event. We were also one of the Pioneers of IBTUR when we completed the IBTUR 88km last year. This was also the first time I would be running to raise funds for the Philippine Animal Rescue Team. I’m very proud of that! We took the PARTAS bus in Pasay and left at 12:00 midnight going to San Fernando, La Union. The entire trip took us 7 hours and the fare was roughly around Php 470.00. 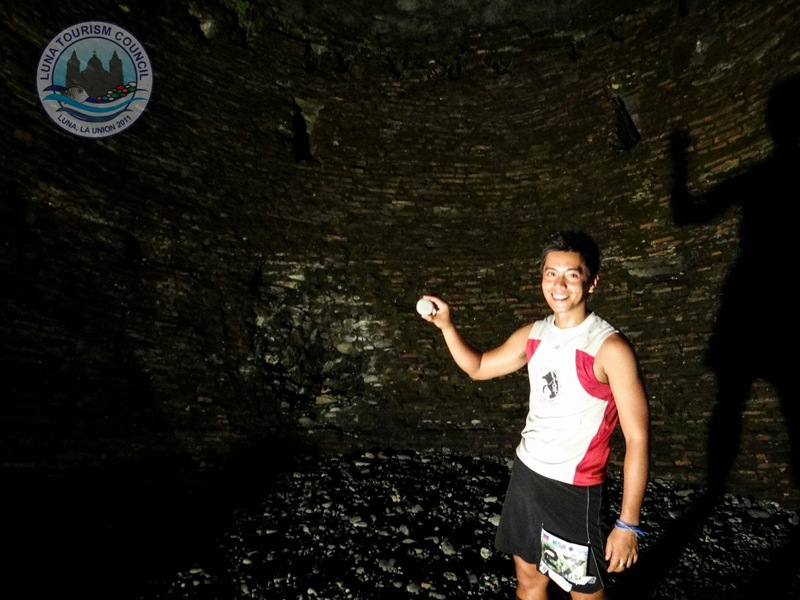 Not far from Final Options Resort in San Juan was the Scenic View Tourist Inn who offered the most affordable rooms for Php 955.00 Pesos/ 24 Hrs for 2. Their pool was so inviting that we had to take a plunge. Pretty much the whole of Friday, we just rested and tried to get as much sleep as we could because we knew that ahead was going to be a long journey. We went to Final Option Beach Resort at around 5:00 pm and as we looked out at the starting line, we were welcomed by the La Union’s amazing sunset. It was stunning! briefing at 7:00 pm followed by a free dinner. Yum! to make sure of the runners safety. with PIONEER embroidered on it. That’s cool! On our way back, we ran through what was probably the red light district of San Fernando, La Union. They even let us take a group photo with them. Aha! Coming back from Thunderbird Resort, we headed back to the highways of La Union. Runners were very cautious about the dangers of running next to a highway as buses and other vehicles were so fast specially during night. With my running buddy, Ver Real. With President Sepjo of Pinoy Aspiring Runners in San Juan, La Union. 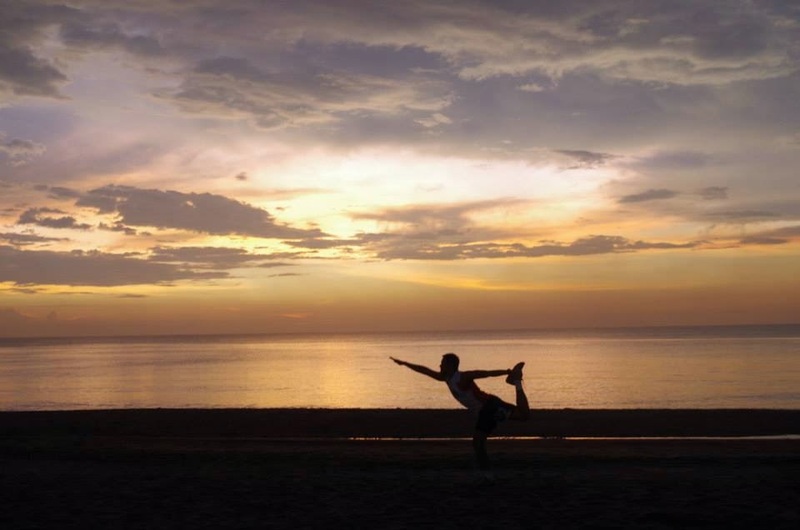 Coming from Thunderbird, our next task was to get to San Gabriel, La Union. This was the start of the never ending uphill climb. During the ascent, we were surrounded by the lush rain forest. However, it was at 3:00 am in the morning so it was DARK! I don’t think I would be able to manage to run here alone as I am scared. Thank goodness for the headlamp! Sun was rising and we decided to rest for a bit. 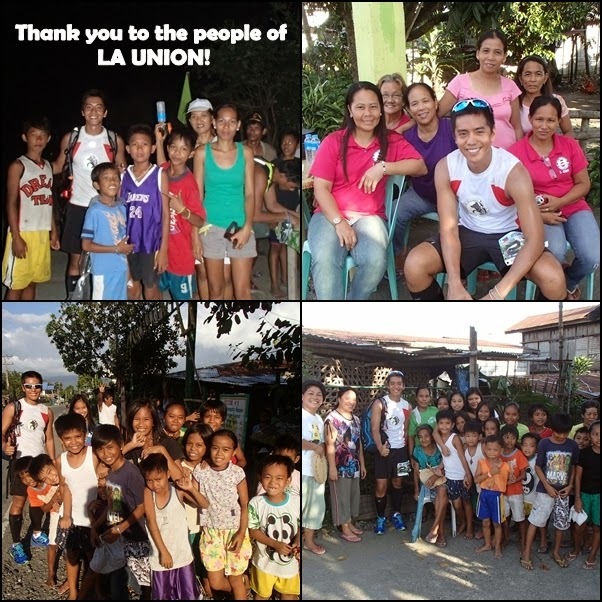 the hospitality of the people of La Union was evident. brewed coffee in the morning? I do! While having coffee, a Jeepney arrived with massive loads! The locals told us that jeepneys are very scarce in the area. I must have a picture with them! Smile!! 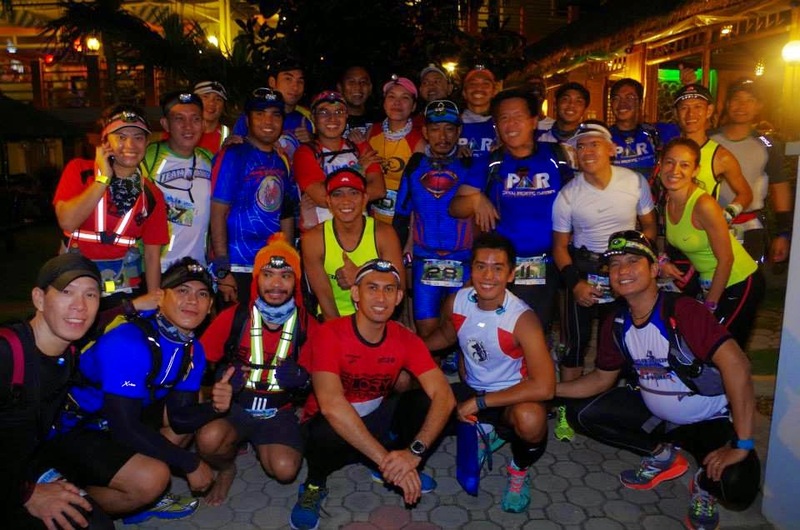 The120km, 60km Ultramarathon was already taking place and we were able to bump into some of them from Dagupan. I like making friends with the same passion for running. Even though we were in the mountains, shade was very minimal. Thank goodness for this hat that also covers the back of head and neck. It really helped me a lot! Now we were at Santol, La Union. Lunch time was approaching and the heat was getting more and more intense. There were no clouds at all. power nap for at least 5 – 10 minutes. After Santol, La Union, our next mission was to get to SUPIDEN, where we needed to cross the border bridge of La Union and Ilocos Sur. Now how long was that? I have no clue but we ran from 1:00 pm until 5:00 pm to Supiden. The heat was at its maximum! Before we arrived in Supiden, we passed through the town of Bangar, La Union. Here, we were treated like celebrities. They were so friendly and supportive of the IBTUR participants. The warmth hospitality of La Union really was overwhelming. Some of the kids were even running with us, and they started screaming as we approached their Barangay. Who could be exhausted looking at the smiles of these children? it’s one of the turning point of the race. We met up with some runners as we crossed the bridge towards the turning point. Baluarte the century old watch tower can be found. We were also accommodated wholeheartedly by the people of Bangar who patiently waited for us and the other runners. We were even told that they were doing this voluntarily because they knew how hard it was for runners to run 120km. God Bless these people! their rocks that are being used as ornaments. We were told that we need to walk 7 kms to Baluarte and when we asked where that was, they pointed a very tiny light from a far. Ver and I were shocked to find out we need to walk on the pebbly sand beach for 7km in the dark! Lol! We followed a flag and stone path with only one headlight. That was scary! But we had no plans of giving up. I wore my new shoes that time thinking I had to put more my cushioning as my feet were getting sore. But I have no clue that its going to get worse. My feet was full of sand and blisters started to increase in numbers. It was becoming painful! But, we always reminded ourselves that this is what UNBREAKABLE or IBTUR is all about, pushing yourself to the limits until you reach the finish line. Finally, after that painstaking walk on the beach, we reached the Baluarte! Each IBTUR 120km Runner had an opportunity to have picture taken by a professional photographer. experiences during the event. What we did was insane! Congratulations to all the IBTUR finishers in all categories. Almost everyone ran their distances for the first time with pure heart and determination. And for me, that was a great achievement as a runner. I would like to thank IRunner and Mr. Randy Abasolo for organizing this event. This race taught us so many things in life as a person and as a runner. I would also like to thank the people of La Union for their overwhelming hospitality. 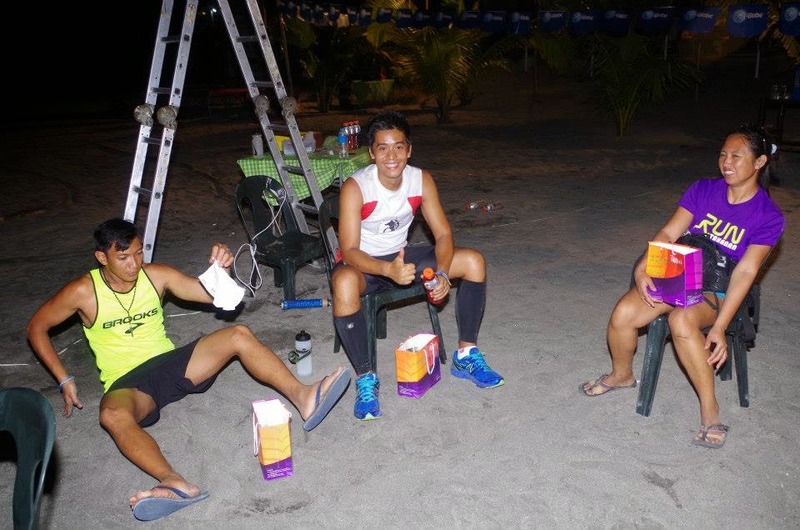 You’ve proven to us once again why running in La Union is more fun! You made it more fun! And with that, you have our support again for the next year’s IBTUR! I would like to thank the Philippine Animal Rescue Team for making my dream of running with a purpose possible. It was the best feeling to know that every step you make and trials you’ve encountered during the 120km, animal lives are being saved.